English inventor Edgar Ellington decided in 1950 to create a waterproof sock using latex and cotton. But after filling his creation with water to test its quality, he noticed a small stream of water gushing from the side. As he threw the water-filled sock onto the table in anger, it burst  and so a second idea was born. 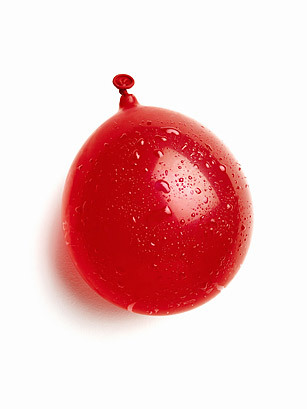 Not long after, Ellington's "water grenades" were the first water balloons to hit the market.